Do you judge your spouse’s intentions when he or she does something that irritates you? Of course you do! We all do it! We consider whether they truly intended to irritate or hurt us or not. Sometimes we believe the better about them and move on. Other times we start stewing about the incident. We question their intelligence and wonder, “What were they thinking?” But then there are other incidences when we can fall into the habit of thinking the worst about their intentions. We start to project that he or she knew what they were doing, and they didn’t care. Have you been there? Unfortunately, we have. And a myriad of other couples have been there too (many of them are now divorced). We’ve talked to many of them, and so has Shaunti Feldhahn. “I think the thing that is the biggest prerequisite, is you have to believe the best of your spouse’s intentions when you’re hurt. I did huge research [with 1,000 couples] with a nationally represented survey. And I found that these really happy couples, when they were hurt and everybody gets hurt, right? When a normal average couple is hurt, the natural human tendency is to think, oh, he knew how that would make me feel. But he said it anyway, right? It’s really subconscious. You don’t realize what you’re feeling is, that he doesn’t care. That’s an important point, to consider, isn’t it? But there’s more. Shaunti goes on to point out what we’re told in Philippians 4:8-9. “You think on the things that you can appreciate about your spouse, rather than what is really an issue. For example, one of the things that I saw in these happy couples, which just blew me away, is these really happy couples had issues just like anybody else. There were all of these issues and yet, they were enjoying their marriage. But What If Our Spouse’s Intentions Are Not Pure? “Though we are good-willed people, sin still holds us in its grip. We all have moments when we are selfish, needy or even mean and spiteful. When your spouse shows his or her sinful side, it is easy to label him or her as ‘evil-willed.’ But your spouse’s temporary nastiness must be distinguished from evil character. In all of this, it’s important that you’re “Bossing Your Feelings” into the place they should go. (We discussed this in a previous Marriage Insight.) We’ve had to do this many, many times in our own marriage. I can remember a season in our marriage when I thought Steve was just trying to irritate me by doing things a certain way. To me, it made no sense every time this issue would come up and he would approach it entirely different than I would. I truly thought he was trying to make me angry. And yet this made no sense to me. Steve was (and is) a good guy. And then, we took the Temperament Analysis Test when we were trying to learn more about each other. (We explain this a bit more in our book, 7 ESSENTIALS TO GROW YOUR MARRIAGE.) This test brought to light the different ways we approach various issues. All of a sudden I saw that Steve wasn’t trying to irritate me when he did these things, that’s his basic approach to life. It’s totally different than mine, but “different” doesn’t mean it’s wrong and mine is right. We just needed to give each other grace, and not judge each other. Also we needed to find a way to make both of our approaches work for our marital relationship. (We sometimes still do.) This changed everything for us. We approach our differences in a much more grace-driven way. One marriage expert pointed out that spouses often judge ourselves by our intentions. And we usually attach good motives to them. But we judge our spouse by their actions. And many times we’re not as generous with their motives as we are with ours. • Leave the judging to God. • Give your spouse the benefit of the doubt when it comes to his or her intentions. • If you need to, ask about your spouse’s intentions, rather than judging them without truly knowing them. • Remember that we all sin sometimes. Look beyond at the bigger picture and give grace whenever you can. 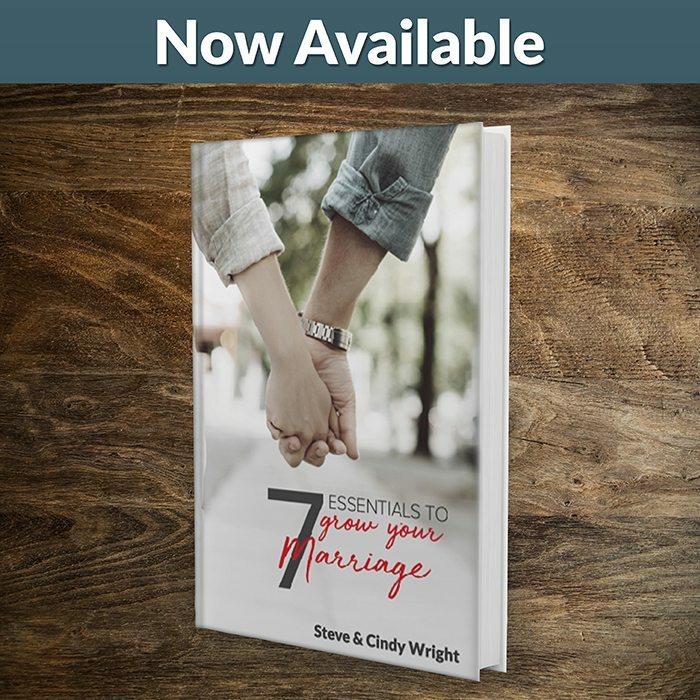 • When you’re tempted to focus on your spouses negative traits and intentions, remind yourself of your own weaknesses. Then remember how Christ has forgiven you. • If you need to talk about the issue that has arisen, make sure you are “speaking the truth in love” rather than in judgement. You’ll most likely get better results. • Apply the principles of Philippians 4:8-9. Focus on “whatever is commendable” about your spouse and you will experience more peace in life and your marriage. Very informative and very beautiful. As a family life enrichment ministry director, I am amazed with all the lessons learnt which I found to be benefiting to me personally, living with it all before sharing in my program. Workable and achievable lessons.